I've finally finished the embroidery work I wanted to do on my big summer project! Thanks for sticking it out with me through my first and second updates. We've come along way! The funny thing is that I've never actually done any embroidery, so I studied a few picture tutorials and got to work, learning as I went. Blanket stitch, running stitch, cross stitch, crazy made-up Sarah stitch... it's all there. I chose to randomly embroider the states, but one state in particular got preferential treatment. My beloved North Carolina, you hold my heart! you did a simply beautiful job. I really appreciate the work you put in! 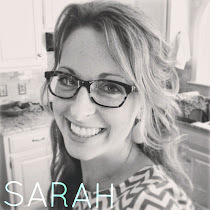 So cute Sarah! It looks awesome! Jan 2012! Just found this and I am clapping my hands - great work! I had to go back to your first and second updates to see how you started and progress. Cute idea - I love it to bring family and friends together! May have to move other projects of the future over a little. Great work! This is so fantastic! I found a similar project elsewhere and tackled it just before the holiday season kicked in. It was so satisfying; but I love what you've done with the embroidery. It looks just wonderful! I love it so, so much! I came across your quilt on Sew, Mama, Sew's blog. How lovely; you are very talented! Just found your blog through pinterest- love this quilt. I'm in NC in Charlotte-a Carolinian born and raised. Are you from Raleigh?